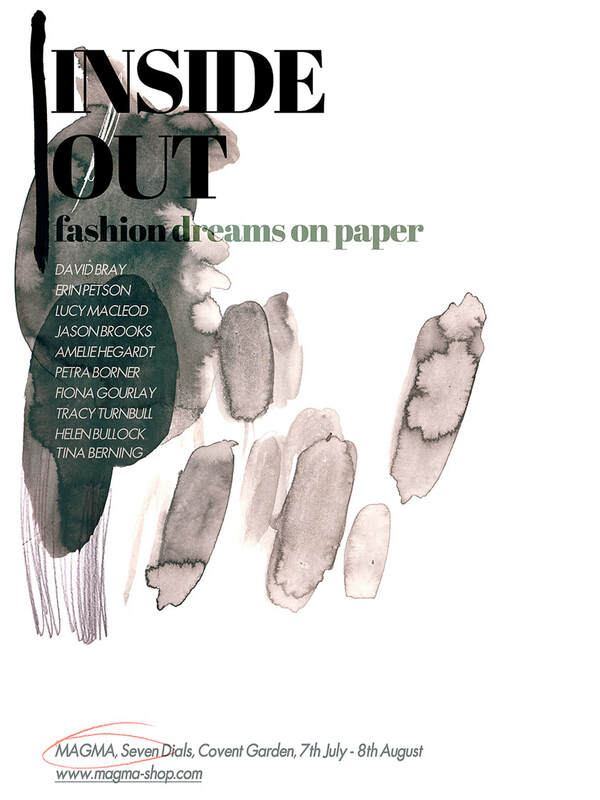 Curated by Lucy and celebrated fashion illustrator Erin Petson, the 'illustration supergroup' exhibition entitled Inside Out- Fashion Dreams on Paper was inspired by Erin's visit to the Hilma af Klint retrospective at The Serpentine Gallery in London. Her paintings were influenced by her deep interest in the mystic and she created imagined 'dreamscapes' constructed from abstract shapes and forms. 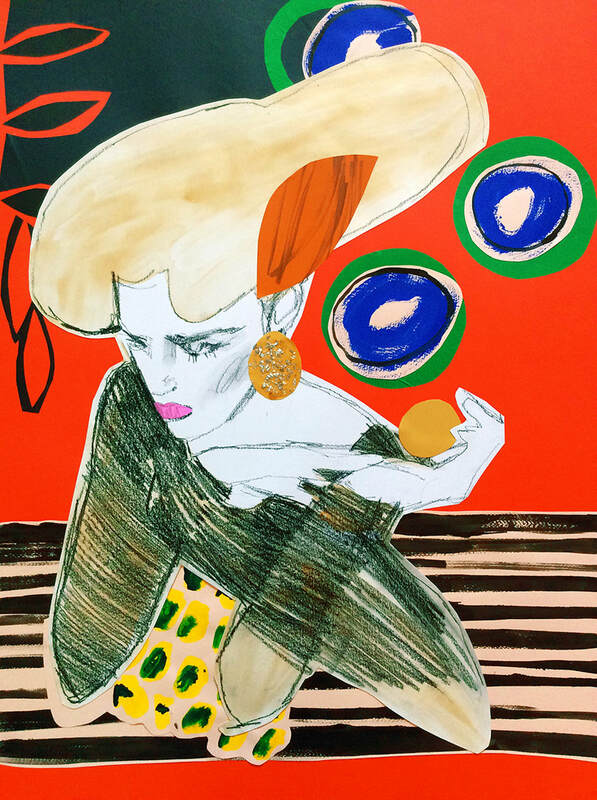 The fashion illustrators selected to take part in the exhibition were asked to respond to Hilma af Klint's unique mixture of modernism, spiritualism and symbolism in their own personal way. 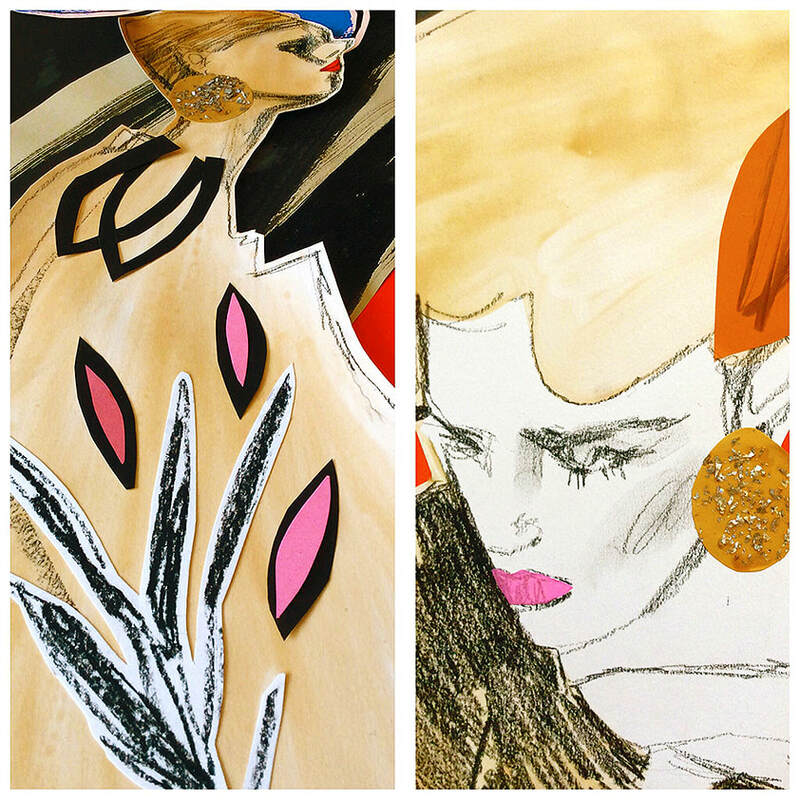 The resulting work was an incredibly creative homage, challenging notions of what it is to be a fashion illustrator. 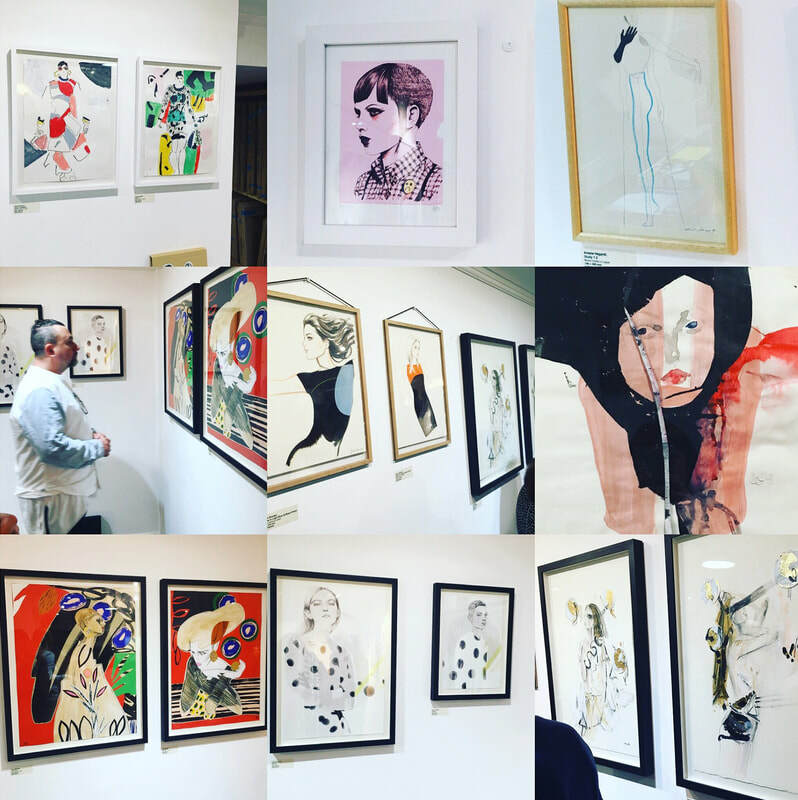 Alongside Erin & Lucy, renowned fashion artists David Bray, Jason Brooks, Amelie Hegardt, Petra Borner, Fiona Gourley, Tracy Turnbull, Helen Bullock & Tina Berning showed original pieces at Magma in Covent Garden, London.